Global brand 7th Heaven approached Rixxo with a problem. Due to the wide range of face masks available they found new customers were overwhelmed by choice. We developed the beauty advisor mobile app. 7th Heaven is a global cosmetics brand that has sold products in 87 countries. With over 24 different 7th Heaven beauty mask products on the market, it can be overwhelming and time consuming to look through them all. 7th Heaven wanted to provide a shortcut for any consumers that may not be so familiar with the brand, to make their purchasing experience simple and enjoyable. Rixxo were approached to provide a solution to this problem. The 7th Heaven Beauty Advisor Mobile App advises the customer on the most suitable face mask product for them. 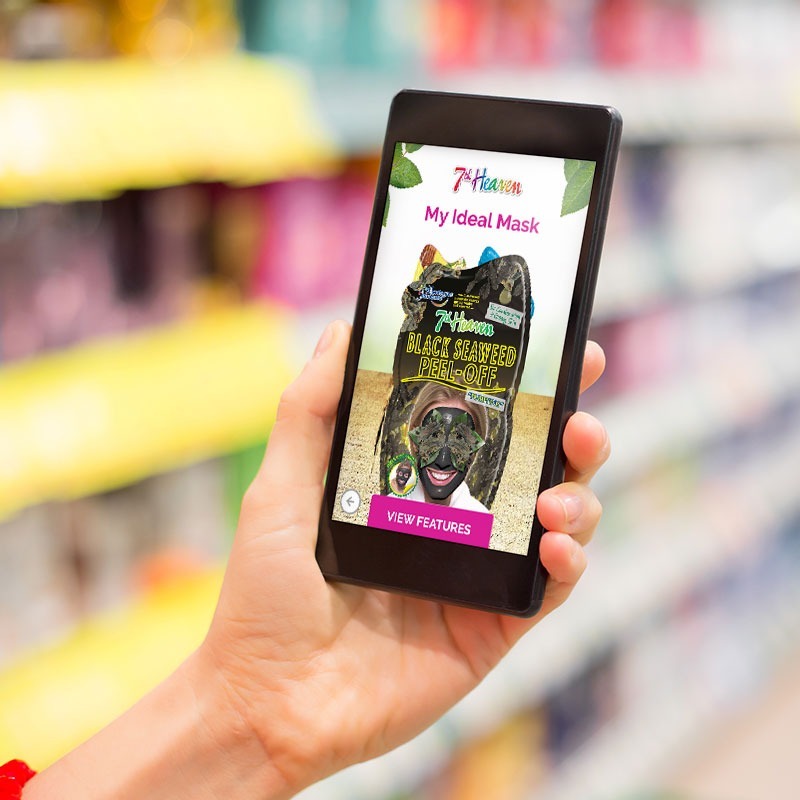 The app detects which location which store the customer is in and after a couple of skin type questions, it displays a personalised selection of face masks most suitable. With innovative front-end design to give a fun 3D effect the beauty advisor app is user-friendly and simple to use. The geolocation can place you to each specific store and the app will provide information on which products that chain of stores has.